46 financial members members as at May 2017, covering over 10,000 hectares of rural land. 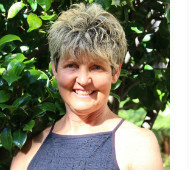 An executive committee of thirteen members co-chaired by Gisele Schweizer and Neil Heather and supported by Christine Paterson as Secretary and Shelley Butterworth as Treasurer. 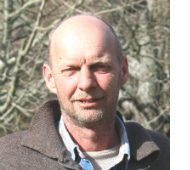 Initiating the Sustainable Farming Fund Project “Meeting nutrient loss targets on dairy farms” with $450,000 from MPI, BOPRC, Ballance and DairyNZ – see link to a recent report. Getting BOPRC to reduce mandatory farmer nitrogen reductions from 270 to 140 tonnes, with the proposed incentives fund responsible for 100 tonnes and a gorse project 30 tonnes. Find out more about some of our Executive team members. 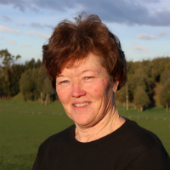 Gisele has been very involved with the political issues faced by farmers in the Lake Rotorua Catchment. Her involvement began in 2002 with the notification of Rule 11 and the subsequent multiple submission and mediation processes. 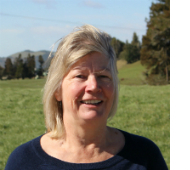 She has also contributed to the critique of targeted rates, Rotorua District Plans and Regional Council Plans and Policy Statements. Gisele represents the Collective on the Stakeholder Advisory Group (StAG) whose mandate is to advise BOPRC on the soon to be notified nitrogen rules that will replace Rule 11. While Gisele has no formal RMA legal training, her analytical skills and legal experience have been hugely beneficial throughout these processes. The Heather family having been farming on Paradise Valley Rd since 1921. Today the 325ha sheep and beef farm is managed by Neil. Neil has a keen interest in protecting the environment. He has planted thousands of trees on the two trout streams that run through his property, established four ponds to manage run-off from Mt Ngongotaha and was a key figure in establishing the Ngongotaha Bush Protection Group.Neil was the chair of Rotorua-Taupo Federated Farmers for 4 years (2008-12). 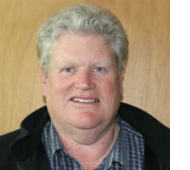 He believes the Collective plays a critical role in ensuring that proposed solutions for mitigating nitrogen loss into the lake are fair and that drystock farming has a sound future. Chris and Jamie have been farming near Kaharoa on Stewart Rd since 1984, after moving from their dairy farm in Reporoa. They currently milk 285 cows on their 120ha, being the second smallest farm in the district. They are committed to maximising the environmental features of their property through extensive tree planting, extending the DoC conservation area that borders their property and retiring dry ephemeral streams. Chris has been the Collective secretary since 2012. She is keen to see the Collective gain momentum to form a unified response to the draft nutrient rules. Shelley and Jack have farmed their 286ha property at Mamaku for 30 years. Originally deer farmers, they converted to dairy 20 years ago. Their goal is to continue maximising production and profitability of their dairy farming business through intensive and proactive management to ensure that it remains viable and profitable. They are also committed to protecting the environment/lake but in turn they expect the BOP Regional Council to support the rural sector of this community ensuring that farming remains profitable and sustainable through reasonable and realistic rules and regulations. Stuart’s family came to farm in the Rotorua area in 1965. Stuart and Heather farm 280 hectares of rolling pasture and native bush. The farm today milks 500 cows managed by a resident sharemilker. Stuart has had a long -standing interest on the environmental impacts of farming on Lake Rotorua. He was a member of the Land Use Futures Board (2007) and Chair of the Stakeholder Advisory Group (2013). Stuart is also an active member of Federated Farmers. 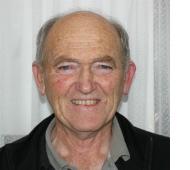 He was Chair of the Lake Rotorua Primary Producers Collective in 2014/15. 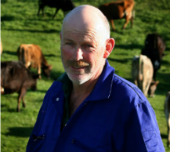 Tony and his wife Margo own a 250 ha dairy /dairy support farm on Oturoa Rd, which has been in the family for 62 years. He brings forty years of oil & gas project management skills and experience to the Collective. Tony believes that there must be a way to continue dairy farming and increase production while also maintaining the momentum to improve the water quality of Lake Rotorua. He also wants to see the Collective be proactive in countering negative press about farming in the catchment. The Roe family has been farming in the Mamaku since the late 1890s. Wendy and John made a switch from dairy grazing to milking when they purchased 333ha on Dansey Rd in 2013. With the active involvement of family, Roesville Farms milk 600 cows at 576m above sea level. The Roes have been busy protecting the remaining pockets of native bush on their farms, with ten areas being covered by QEII National Trust covenants. 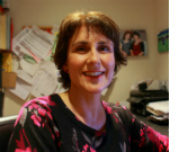 Wendy was the Chair of the Collective in 2013. She believes that the Collective offers the right vehicle for farmers to speak out about the draft nutrient rules and that consultation is key to ensuring the farmer’s perspective is heard. Joanna and Tony Carr have been farming together in the Lake Rotorua catchment since 1999. Tony is the fourth generation in his family to farm their 370 hectare drystock property on Te Ngae Road. 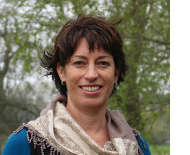 Joanna believes that it is important that a framework is established whereby farming can continue in the Rotorua Catchment in a sustainable manner both financially and environmentally. Farmers must be recognized for their financial, social and environmental contributions to the community and have security that what they have invested is safe for the future. Lachlan and Heather have been farming on their 400 hectare property in Kaharoa for over 20 years. They milks 600 cows on 170 hectares of dairy pasture. The property also includes 120ha of native bush and 50ha of production forest. While relatively new to the Collective executive, he has played an active role with Federated Farmers for many years. Lachlan believes that solving problems collectively is a lot easier that doing it alone. He sees the Collective as playing an important role in representing farmers views to Bay of Plenty Regional Council and other authorities.